The trainer of record is the “sole insurer” of all the dogs on his kennel roster. That means he is legally responsible for them and answerable to racing authorities for any ethical, welfare or rules violations. The track trainer does not actually teach the greyhound to race. That should have already been done by nature and the breeding farm or the finisher—these are specialists who simulate the racing kennel and racing routine/experience for the dogs when they are saplings. When the dog arrives at the racing kennel, he will need to be examined thoroughly for injury, wormed, exercised and then schooled in the mornings, until such time as the trainer feels he is ready for an official race. Then he is officially schooled against greyhounds from other kennels, until he shows that he may be capable of winning a real race. The trainer can enter or remove the dog from the active roster after any race, at will. The trainer is responsible for structuring the kennel routine so that all cleaning is done efficiently, and that bedding is replaced as required for the dogs comfort. He also prescribes the dog’s diet—controls the feedpan, mixes the feed—sets the dog’s weights, and gives medications when necessary. He grooms the dogs and checks them for injuries, oversees rehab and exercise in between races, and decides what the protocols are in that regard. I would check and groom the racers the day before, the day of, and the day after a race, and either massage or whirlpool bath them before and after…in the case of a whirlpool bath, leave a day in between whirlpooling and the race. A trainer who does his job properly should be able to tell, while blindfolded, who any dog in his kennel is just by placing his hands on him. The trainer should watch the dogs run anytime they do, and he must have the eyes of an eagle, to detect even the slightest hiccup in the dogs locomotion, or deviance from their habitual behavior on the track or in the kennel. There’s a lot more to it, not the least of which is doing 6-7 turnouts a day and being at the track to watch and catch the dogs. A good helper or co-trainer is invaluable. IMO, the most important job of all for any trainer, is to eliminate stresses of any and all manner. 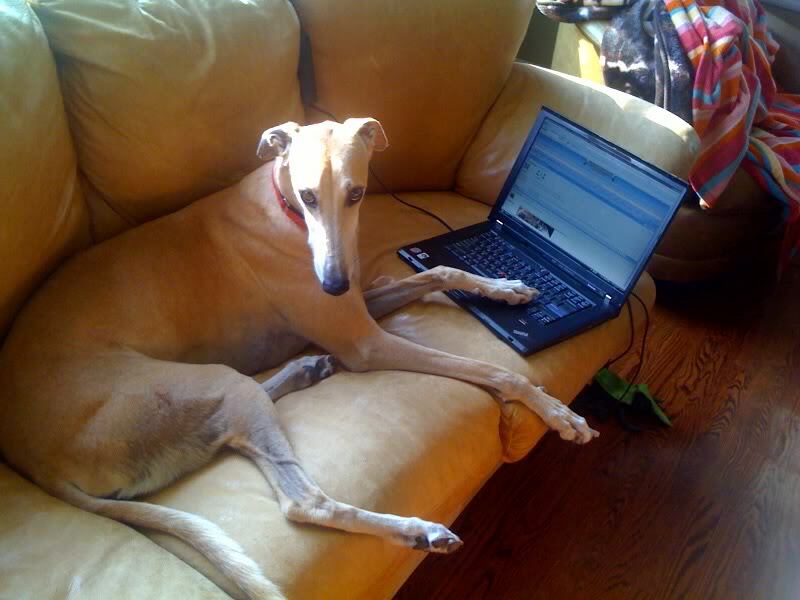 Content and relaxed greyhounds are productive greyhounds.